DZ10 is an enzyme product claimed to improve digestion, increase energy, and cause weight loss. It is marketed by 3 Girls LLC, of Homdel, New Jersey, which was registered in Nevada in 2014 as a limited liability corporation. The sole officer listed on its registration form is Michele B. Del Presto (manager). A few months after the company was registered, it raised $3,780 from 56 people who responded to an Indiegogo campaign that offered the product at a discount. The Indiegogo page claimed that "low or lack of vital enzymes from today's foods contributes to bloating, fatigue, IBS (irritable bowel syndrome), food allergies, stomach aches, gas, toxicity and so much more." The Indiegogo page also contains a 3-minute video with an appearance by Henry Balzani, M.D. ("Dr. Zyme"), a retired obstetrician-gynecologist who operated the Clifton (New Jersey) Optimal Health Center. Balzani, who is identified elsewhere as a medical consultant to the company, claims that digestive enzymes are especially important today because the type of food we are eating doesn't give us the enzymes." During 2014, he issued 35 tweets promoting DZ10. Do you feel bloated after meals? You could be experiencing reduced enzyme deficiency due to undigested food. If you're not digesting it, you're storing it. Did you know that the average 35-year-old has at least 4 to 22 pounds of undigested food in the intestine alone. All that extra food contributes to bloating, gas, discomfort, occasional indigestion, low energy and extra weight. Well I've got some exciting news that can help you today. Introducing DZ10, a revolutionary new solution to restore the enzymes your body needs. . . . You need enzymes to digest food, but your body's natural enzymes decrease by over 10% every ten years after the age of 20. In another video, Michelle states that she became interested in enzymes because when she decided to start her own family, she wanted to "work on the inside" of her body. She claims that DZ10 not only "helps nutrients go to your cells" but also "helps build your immune system" and "helps take the toxins, the bacteria, out of your body." The amount of enzymes in food has no health significance because plant enzymes, when eaten, are digested just like other proteins. If digestion is already healthy, taking DZ10 will accomplish nothing. If a person's digestion is impaired, it is likely to do very little. Lactase deficiency can cause bloating and other gastrointestinal symptoms that can be relieved by reducing the intake of lactose (found mostly in milk). It is possible that the lactase in DZ10 could help someone who has trouble digesting lactose. However, it would be prudent for people with this problem to be medically diagnosed and get professional guidance about how to deal with it. Other diseases (mostly hereditary) exist in which one or a few enzymes is absent or lacking. DZ10 cannot correct any of these. A few people stop producing enzymes, but DZ10 cannot remedy such a problem. Nutrients from plants are absorbed normally by the human body without supplemental enzymes. DZ10 will not improve the absorption of nutrients. Undigested food is not "stored" and does not cause weight gain. It will be excreted in the feces. The idea that it builds up in huge amounts that will dissipate by taking DZ10 is preposterous. In fact, if DZ10 could actually cause "accumulated" food in the intestines to be digested and absorbed, it might cause people to gain weight rather than lose it. 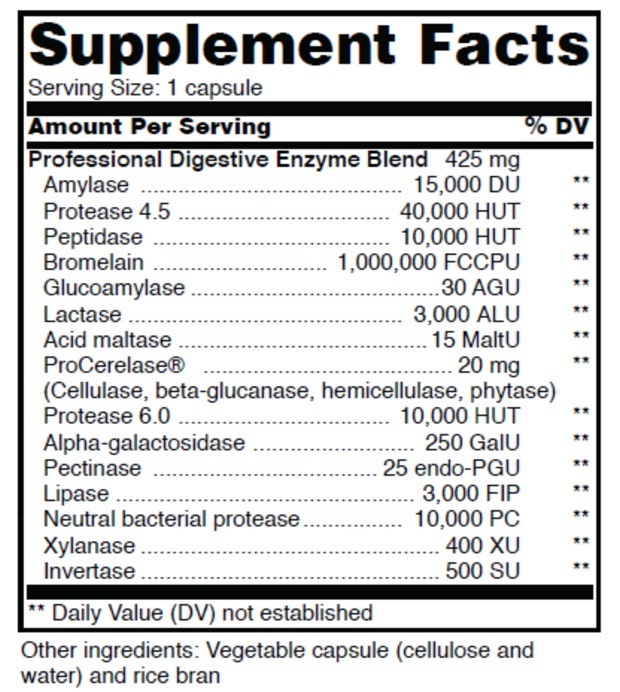 Enzyme supplements do not boost immunity, remove toxins or bacteria, or cause people to lose weight. While searching for information about Michelle Del Presto, I found that her husband Samuel DelPresto has been in serious legal trouble. At various times during the 1990s, he was employed by L.C. Wegard & Co., Inc., as a registered representative, manager, assistant branch manager, co-branch manager, and a regional vice-president. This company was broker-dealer that had committed massive securities fraud by inducing clients to purchase speculative high-risk securities through the use of deceptive sales scripts, and by concealing such practices from regulatory authorities . In 2000, Samuel pleaded guilty to one count of conspiracy and was sentenced to six months of home confinement and three years' probation . In 2002, the Securities and Exchange Commission barred him from association with any broker or dealer . In 2007, he launched a venture capital firm called MLF Group . In December 2015, the SEC charged DelPresto, MLF Group, and Donald Toomer with violating the antifraud provisions of the federal securities laws. The complaint charges that he illegally pocketed $13 million from an elaborate pump-and-dump scheme. Beginning in 2007, DelPresto and several associates secretly gained control of the stock in four microcap companies—BioNeutral Group (BONU), NXT Nutritionals Holdings (NXTH), Mesa Energy Holdings (MSEH), and Clear-Lite Holdings (CLRH). During 2009 and 2010, the conspirators engaged in trading and publicity that created the appearance of liquidity, market demand, and favorable outlook for the stocks. After unwitting investors were enticed to buy the stock at inflated prices, DelPresto dumped his shares, the share prices plummeted, and investors were left holding the bag. The SEC's complaint seeks a permanent injunction, disgorgement of ill-gotten gains along with prejudgment interest, financial penalties, and prohibition from participating in any future penny stock offering . In a parallel development, DelPresto pleaded guilty to one count of conspiring with others to commit securities fraud , a criminal charge for which he could be sentenced to up to five years in prison. The agreement  included a forfeiture judgment of $13 million that would be partially satisfied with funds in ten bank accounts that the government had seized in 2014. Brokers with ties to Brennan are indicted on fraud charges. Wall Street Journal, Nov 13, 1997. Carey C. Energy company's stock surges, then falls, as promoters tout and large shareholders sell. Sharesleuth, April 11, 2010. Order making findings and imposing sanctions by default against Ronald Bongo and Samuel Del Presto. In the matter of John Adams, Jr., et al. Administrative proceeding File No. 3-10702. Securities and Exchange Commission Release No. 46043, June 12, 2002. About Me. Sam DelPresto Blog, accessed July 24, 2015. Amended complaint. Securities and Exchange Commission against Samuel DelPresto, MLF Group, LLC, and Donald Toomer. U.S. District Court, District of New Jersey, 3:15-cv-08656-PGS-DEA, filed Dec 15, 2015. Information. United States of America v Samuel DelPresto. U.S. District Court, District of New Jersey, Criminal No. 15-631-JLL, filed Dec 15, 2015. Plea agreement with Samuel DelPresto, U.S. Attorney's Office, June 3, 2015. This article was revised on December 28, 2015.